It can be daunting buying your first home, especially considering how temperamental the market can be; however, with record low mortgage rates recently introduced and no rise predicted until 2016, this could be the year you finally put your first step on the property ladder. January can be a good time to start looking for houses as the market tends to be slower due to Christmas and the colder weather. While the buying pool is smaller, competition may be reduced and buyers can have more bargaining power. Keep in mind that in Britain it takes an average of 12 weeks for a completion of sale, so plan accordingly. 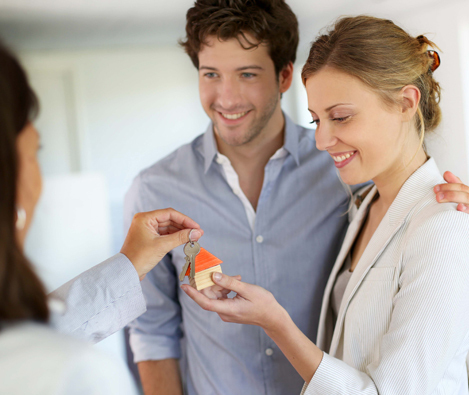 As of last December, the Stamp Duty reform has also helped people realise their dreams of owning their first home. Now applied like Income Tax, the Stamp Duty reform will put different house prices in different bands, creating tax brackets with no tax on houses up to £125,000. This means homebuyers spending under £350,000 will be better off in the new system, which is great news for first time buyers. And don’t forget about the government’s Help to Buy scheme specifically designed with first time buyers in mind. Help to Buy means that, after a successful financial check, you can buy a house worth up to £600,000 with as little as a 5% deposit. At Strata we pride ourselves on building affordable, luxury new homes. Our Shimmer development in Rotherham has a range of stunning two bedroom homes ideal for first time buyers and offers uninterrupted views of the River Don. We will also be hosting our very own Help to Buy event at the development where you can talk to our financial experts. They will offer advice and give you the knowledge and confidence you need to acquire your first property. So if you’re thinking about taking your first few steps onto the property ladder , 2015 is the perfect time to #MAKEITYOURS!